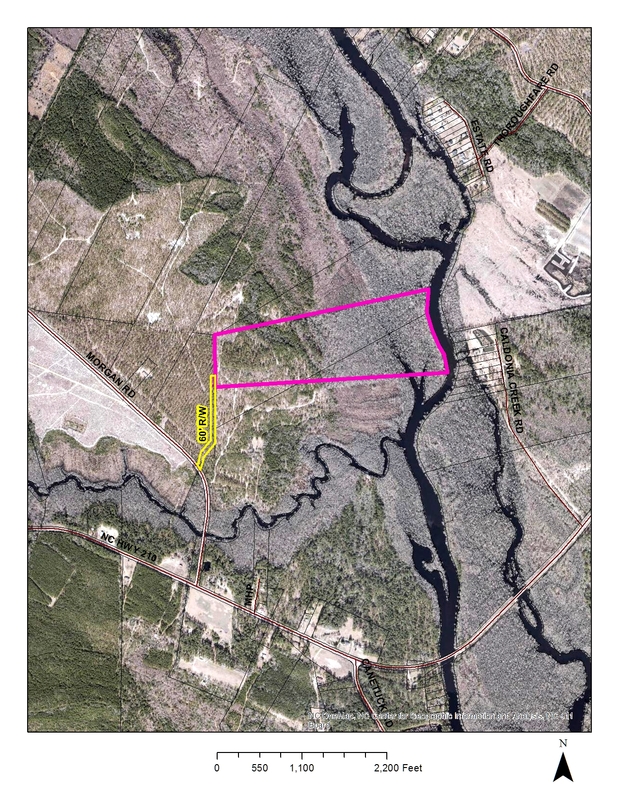 This property consists of 70 acres in Pender County, along Black River. The tract has an entrance point via NC Hwy 210, Morgan Rd. & Black River by boat, and has an abundance of wild game, including deer, bear and turkey. The tract has a mixture of woodland and swampland as well as multiple lanes cut out for deer hunting.